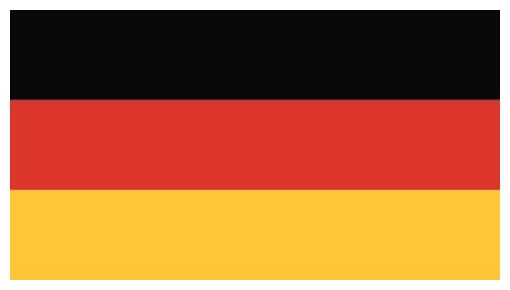 An iron maiden (German: Eiserne Jungfrau) is a torture device, consisting of an iron cabinet, with a hinged front, sufficiently tall to enclose a human being. It usually has a small closable opening so that the torturer can interrogate the victim and torture or kill a person by piercing the body with sharp objects (such as knives, spikes or nails), while he or she is forced to remain standing. Inspiration for the “Iron Maiden” may come from the Carthaginian execution of Marcus Atilius Regulus, as it was recorded in a passage in Augustine of Hippo’s The City of God (I.15) in which the Carthaginians “packed him into a tight wooden box, spiked with sharp nails on all sides, so that he could not lean in any direction without being pierced” (or by the account of Nabis of Sparta’s deadly statue of his wife, the Apega). 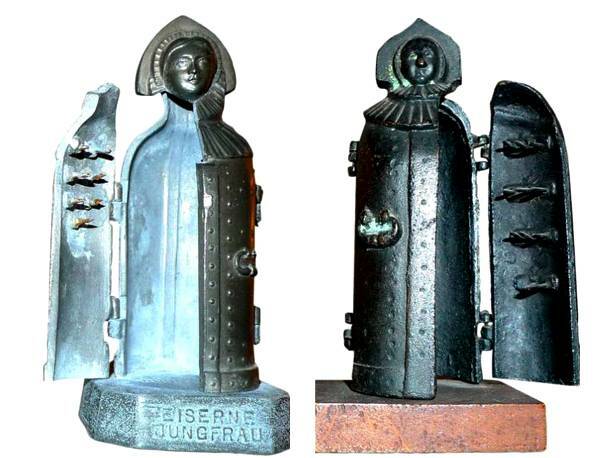 Several nineteenth century iron maidens are on display in museums around the world. It is possible that some Iron Maidens were originally designed as a kind of coffin torture with the spikes added later.